Modern slim fit blazer yet not tight. Fully lined. Narrow lapel. Light constructed shoulders with AMF stitch. Classic flap pockets. Built-in pocket square. Mixed buttons on sleeve. Two vents on back. 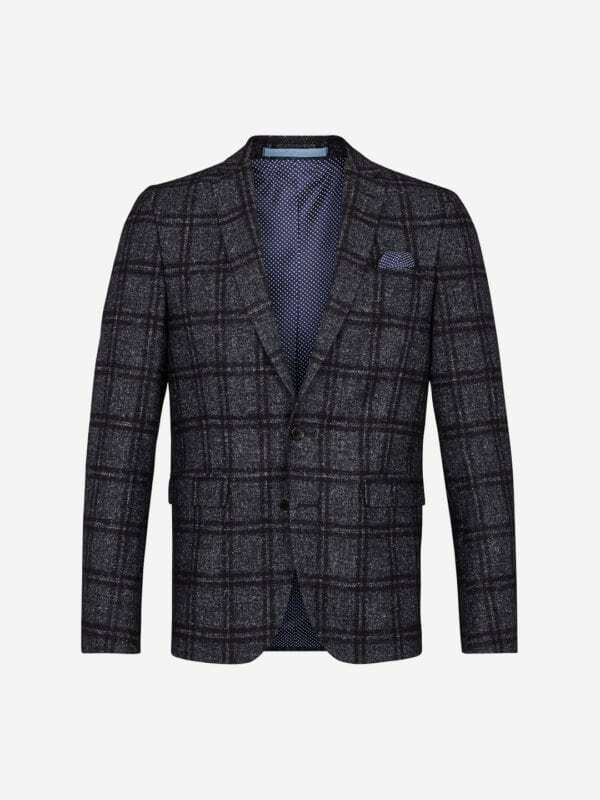 Made of a wool-mix in luxurious Italian fabrics from the finest mills in the Biella area. 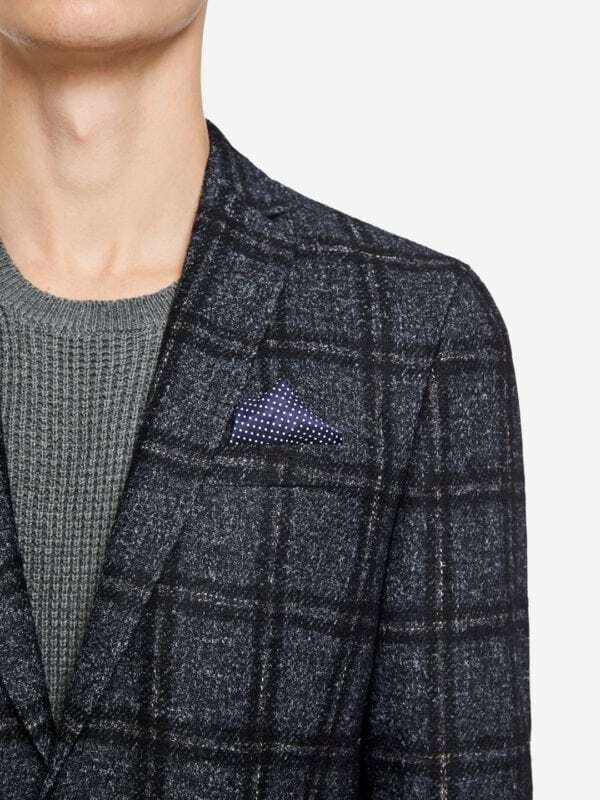 This blazer comes in a classic Shetlands check pattern. Team yours with a knit sweater or a roll neck for a contemporary look. Proudly manufactured in Europe.